iRedMail is a shell script that lets you quickly deploy a full-featured mail solution in less than 2 minutes. iRedMail supports both OpenLDAP and MySQL as backends for storing virtual domains and users. This tutorial shows you how to integrate OpenVPN into iredmail's ldap backend on CentOS 5.x, Let openvpn auth OpenLDAP?passwords will be stored in ldap and you can change the password though webmail. Use the EPEL yum repository to install OpenVPN. The OpenVPN package provides a set of encryption-related tools called "easy-rsa". These scripts are located by default in the /usr/share/doc/openvpn/examples/easy-rsa/ directory. 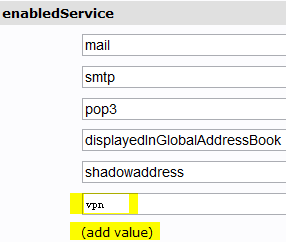 However, in order to function properly, these scripts should be located in the /etc/openvpn directory. We also need to copy the Openvpn config example file to /etc/openvpn. These files no need leave your server. Maintaining integrity and control over these files is of the utmost importance to the integrity of your server. If you ever need to move or back up these keys, ensure that they're encrypted and secured. 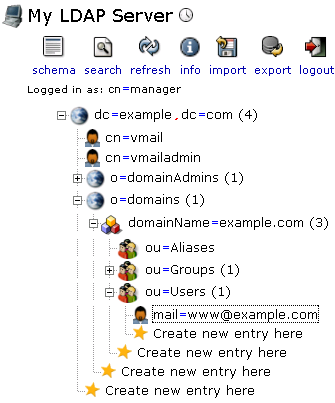 Use phpLDAPadmin or other tools to add sample LDAP attributes and values for existing mail users.